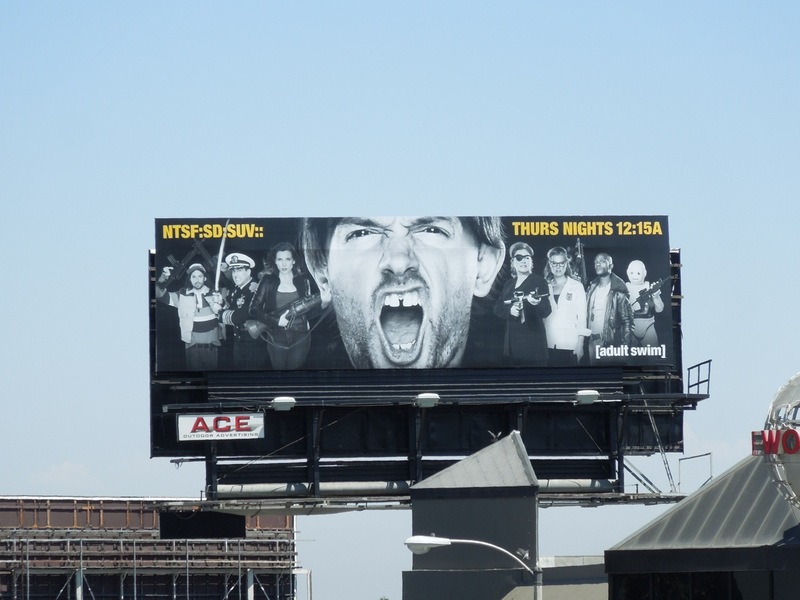 Adult Swim's parody of TV's plethora of crime procedural shows and action movies is back for a second series, with Paul Scheer leading the National Terrorism Strike Force: San Diego: Sport Utility Vehicle or NTSF:SD:SUV:: for short. 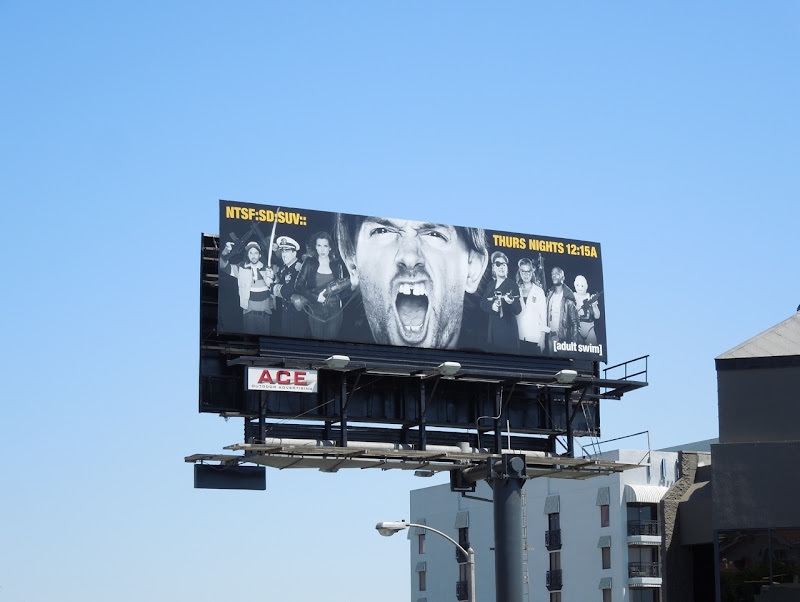 This second season billboard for the spoof series of 15-minute episodes was spied above The Hustler Store along L.A.'s Sunset Strip. 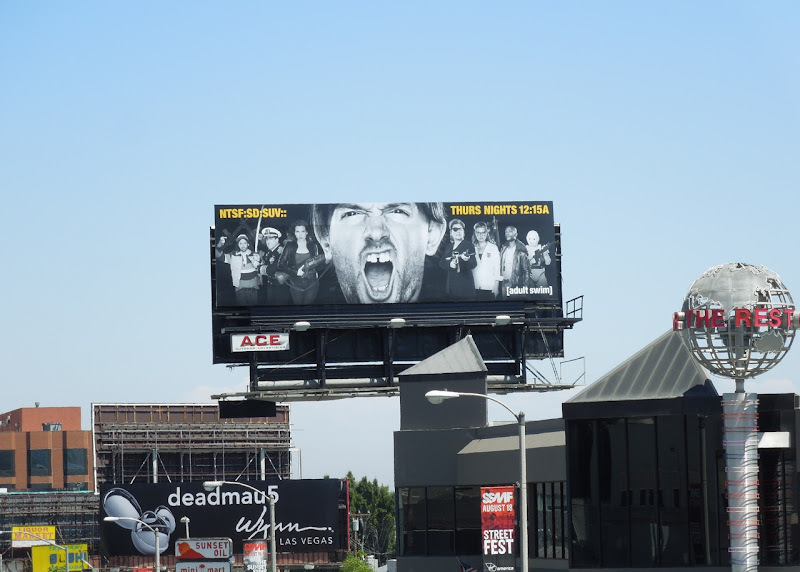 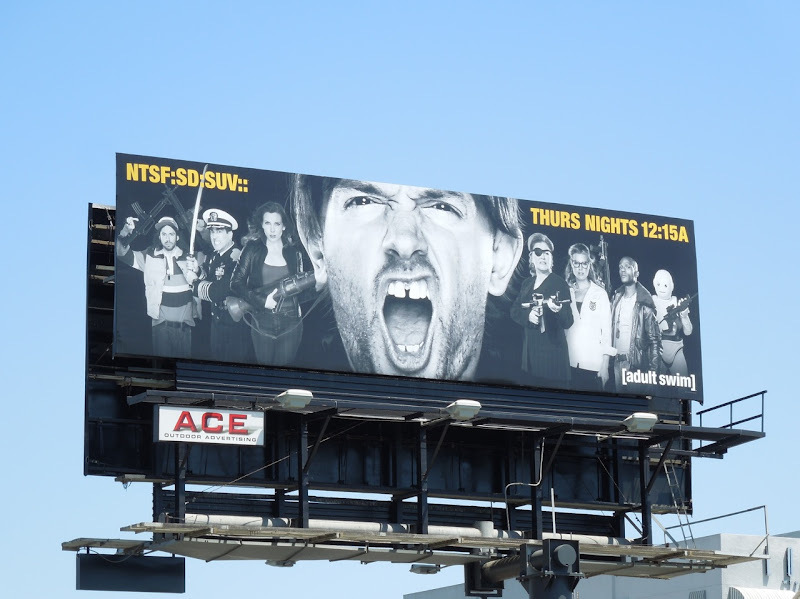 If you're a fan of the show, be sure to also check out the colourful NTSF:SD:SUV:: season one billboard.